In 2017 we reviewed our progress on how we were managing our new ground, the associated challenges of increased utilisation, planning events, managing resources, financial management etc. Progress has been so rapid and exceeded all expectations that we decided to launch our next phase of our development, a clubhouse with the intentions of growing our volunteer workforce, increasing participation, quality of experience, accessibility for all and community engagement leading to even better performance and greater sustainability. So we have launched the next phase of our development plan. As a Club in late 2013 we embarked on a project to identify, purchase and develop our own ground to allow us to ensure we are sustainable. From the end of March 2014 we no longer had access to the facilities at Bubbs Hill, our home for almost 20 years, as Girlguiding Gloucestershire were developing the land. Thanks to Old Pats Rugby Club & Cheltenham Borough Council we used their facilities for the 2014 outdoor season as a temporary venue until we could find a new home! 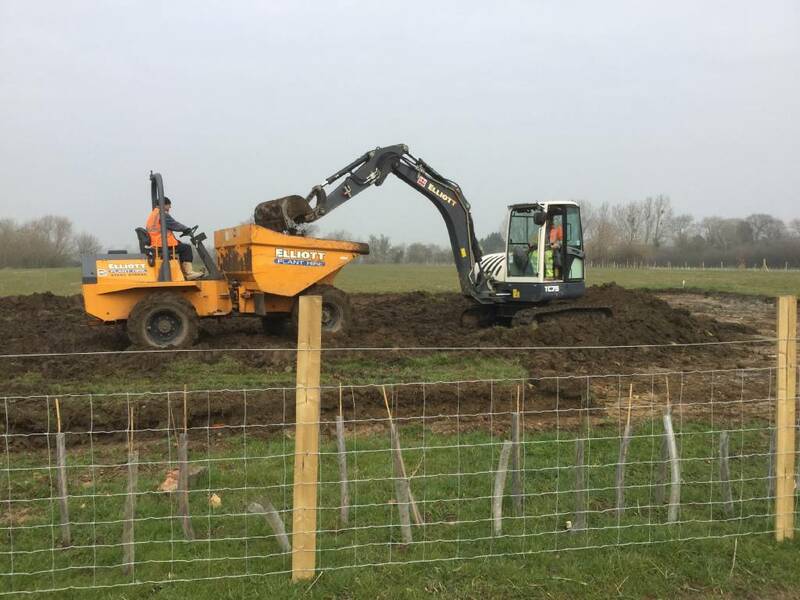 In September 2014 we completed the purchase of 6 acres of land after we had gained planning permission to develop it and had appropriate environmental tests conducted. The purchase was made possible by the incredible fund raising efforts (£50K) of our membership, topped up by grants from the Summerfield Trust and EDF. The field is ideally located just off the Shurdington Road, opposite the Endsliegh Insurance Buildings and is right in the geographic centre of our membership. It also allowed us to plan the site’s development to meet the Archery GB Facilities Strategy. Satalite view Location is field highlighted by green arrow. Details of Planning Application can be seen here. External lights have been fitted, cupboards installed (thanks to MPB for their donation). Coaching mirrors installed. Picture gallery charting our history and other items installed to make it feel like home! Old site office is being converted into a workshop and men-in-sheds base! Getting a much clearer picture of operating costs, especially as it is already very well utilised. Had been very fortunate with a number of donated items to make the facility operational! Special thanks to the Royal British Legion for donating all the tables and chairs we needed. Temporary access arrangements were put in place, rough path installed. Kitchen transferred over from old site office and now fully operational. Much work left to do getting pathways, steps, access ramps, pipes covered etc. Also trying to fit out the inside with tables, chairs, install kitchen area etc. All 7 modules were in place, 10 days of fitting out, installing electrics, plumbing etc. A fantastic facility was almost complete! On the 6th 7 low loader vehicles and a crane will arrive on-site to install our building! Over the following 2 weeks the facility will be completed, we will then need time to make it home. We are currently looking for help to furnish the building. We have now been able to purchase new netting for the shooting area and new stands for the Danage bosses. 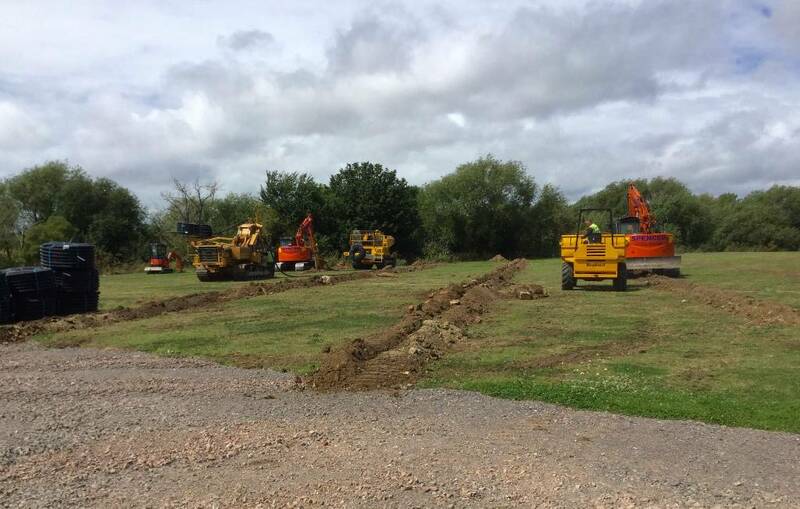 Ground Works completed to install 40 platforms, electric, water and waste drainage to our septic tank. Also connections to the land drainage for rain water. We have also taken the opportunity to improve the drainage for the rain water from the covered shooting area. Asked to resubmit a full planning application to reflect the change of material from wood to steel modular, with fewer windows for security. Footprint identical, colours identical, roof lower, improved carbon footprint, lower project cost, lower insurance cover, lower maintenance costs. Awaiting outcome. Target for completion still October 2018. We settled on a single supplier who would work with us to achieve our vision. Secured significant funding from the Gloucestershire Environmental Trust (£100K), the Summerfield Trust and the Worshipful Company of Fletchers. Formed a new fundraising group to further boost our funds and benefited from an incredible business plan and fast expanding membership and activities programme! Gathering quotes on revised core module designs for 3, 5 & 8 module designs. Launched 2018 fundraising programme and social events calendar. Working with potential funders to support our clubhouse development plans. Completed first funding application to support clubhouse project and launched 2 others. Updated our ‘wildlife’ brochure. Launched Field Course improvements programme, assisted adjacent business to plant trees/hedging to improve our environment. Trialled weed control methods, playing surface and invasive species in wooded area. Took delivery of a 50% sponsored compact tractor and equipment to improve our playing surface. Hired tree surgeons to ensure field course range was safe and comply with care for our bat population. 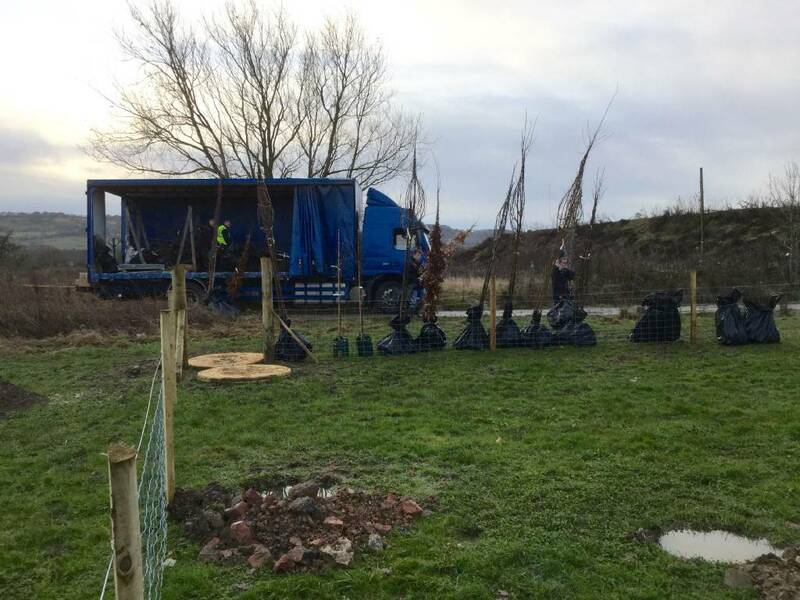 Work carried out on range surface, 1500 hedging plants weeded, more Willow trees planted, additional security arrangements for site defined. Grant application prepared for a new diesel tractor and attachments to facilitate necessary improvement plan for the playing surface making it more accessible for those with mobility issues, likewise more wheeled bosses ordered to make range more flexible. Also informed that our entrance lane will be tarmacked by our closest and most supportive neighbors Elliott’s Sand & Gravel Ltd.
Further refinements underway including, construction of benches for hard shelter, proper shelving installed in equipment and maintenance stores, notice boards and white boards installed. Work also carried out developing the field course, installing wider bridges, more steps and signs etc. 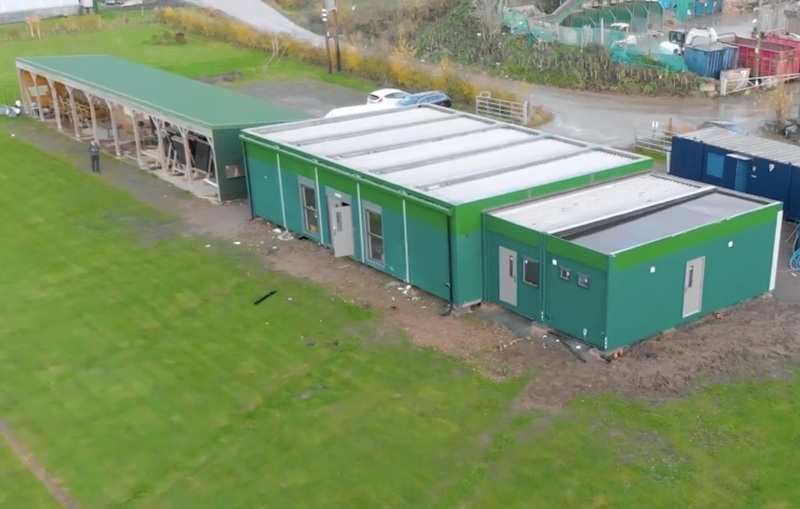 Our hard shelter was completed, water and electric supplies connected & temporary Clubhouse & Toilet block were operational! Our car park was installed although the top surface has not been completed due to ongoing building work (we have already paid for it). Sport England confirmed our Preferred Supplier PDM (UK) Ltd. Contracts being signed. Project Plan being detailed. For a number of reasons and despite considerable value engineering, the final costings have resulted in a projected potential overspend of £12K. Following a detailed analysis of our current finances and a detailed analysis of projected income/expenditure the committee confirmed that the projected overspend could be accommodated, recognising that there would be an impact on other Club Projects. A plan of action to mitigate the impact has been implemented. The Project Plan will complete the building work and installation of services by the 31st March 2016. 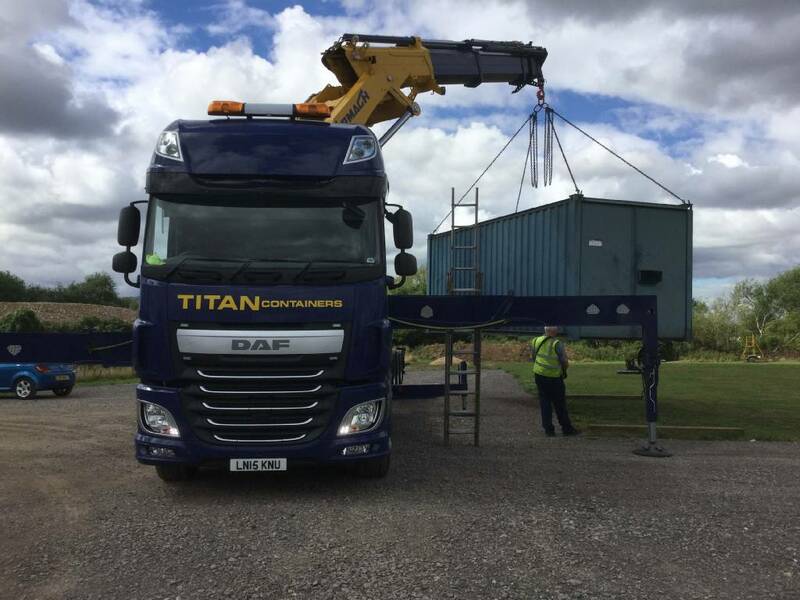 We were fortunate enough to attract a number of local builders to tender for the task of getting services to the site, building a 90ft Covered Shooting area (which also covered our two 49ft Containers, installing a temporary toilet block and waste disposal. Following a lot of meetings we have produced a specification to facilitate this, we have now shortlisted 3 potential contractors and will make a final decision by the end of November. The work will need to be completed by the end of March 2016. The field course is nearing completion and we will run trial events in December. 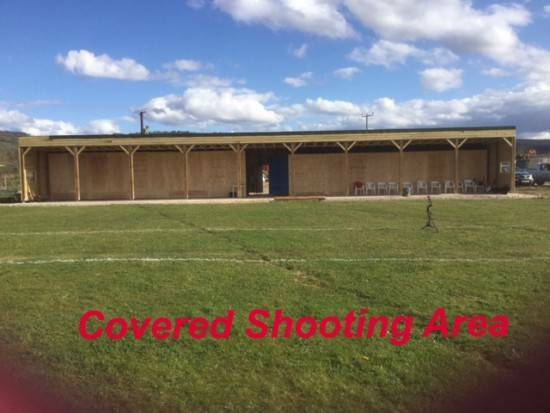 We were pleased to hear that our application to Sport England for £70,000 to build a covered shooting area, get services to the site and install a temporary toiler facility had been successful! Our field course was almost complete. Many hours of clearing, installing steps, clearing pathways etc. Our drainage was installed thanks to a £33,000 grant from the Environmental Trust. Ground Officially opened by Kevin Blackadder and first Club Target days run. 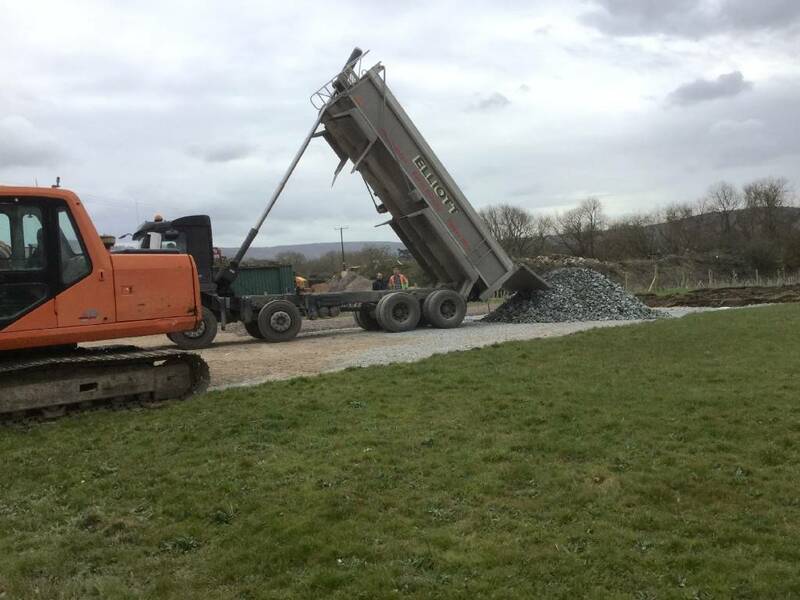 Work on improving the shooting area, removing surface stones etc, filling pot holes, cutting grass, killing weeds has shown significant improvement. 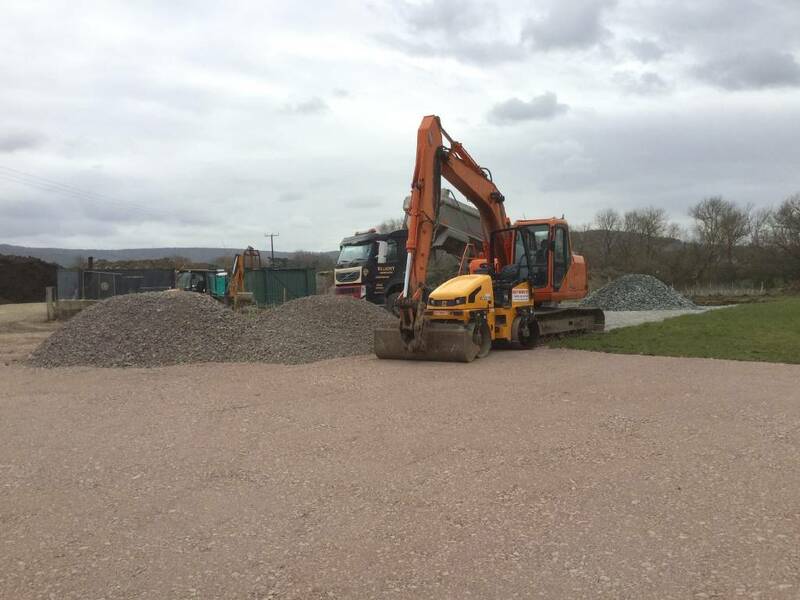 Work on the car park has begun! Work on the Field Course is progressing well! In mid February 42 jobs were identified for us to be able to shoot for the field first time on Friday 3rd April, most are progressing well. Many of the items are necessities and include such things as a line marker, trolley to transport bosses, risk assessments and signs etc etc. 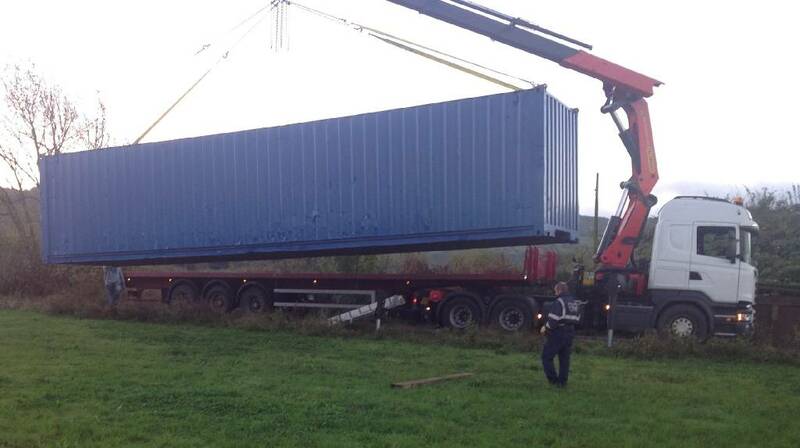 A second 40ft container has been ordered and will be delivered as soon as the car park is complete. Initial Practice times have been published to members and a full In-house Club Target Day Programme has been confirmed. Railway sleepers for the field course bridges have been delivered. The funding application for the Playing Surface Drainage has been completed and the information for the Inspired Facilities Grant is almost complete. We have applied to become an Environmental Body with ENTRUST. Three other grant applications are being written, one for a solid shooting line to facilitate those with mobility restrictions, a second for a pathway along the field course to allow those with disabilities to shoot field archery. The third is to purchase a set of longbows (Junior and Adult) plus arrows etc to allow us to run regular Beginners courses (for experienced archers who want to shoot longbow). 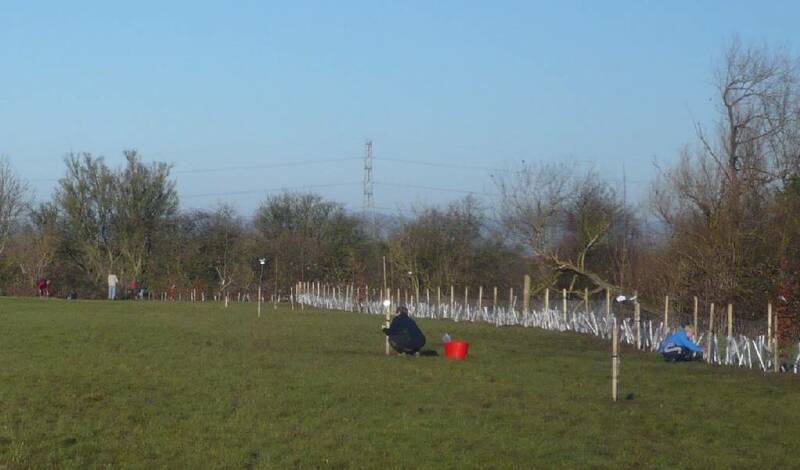 We have been spending a lot of time erecting fencing and planting over 1500 hedging plants and 45 semi mature native trees. We have also decided that we need to install effective drainage to ensure year round use so have identified this as a critical project. To watch a short video to see our work click here. Moving remainder of bosses from Old Pats to new ground. Fencing materials have arrived. Strainer posts will be installed. and hopefully some of the other posts. Our efforts to define each stage of the project together with costs, defining a funding strategy, reviewing our 3 Year Business Plan, our Development Plan etc are all taking shape and have been summarised in the document below. On the practical side we are awaiting delivery of our fencing materials, our planning application for the landscaping was submitted late October and we are about to complete our transfer of all our equipment from Old Pats. We have also taken out a long term insurance policy protecting our investment should rights of access to our ground change through unforeseen circumstances. 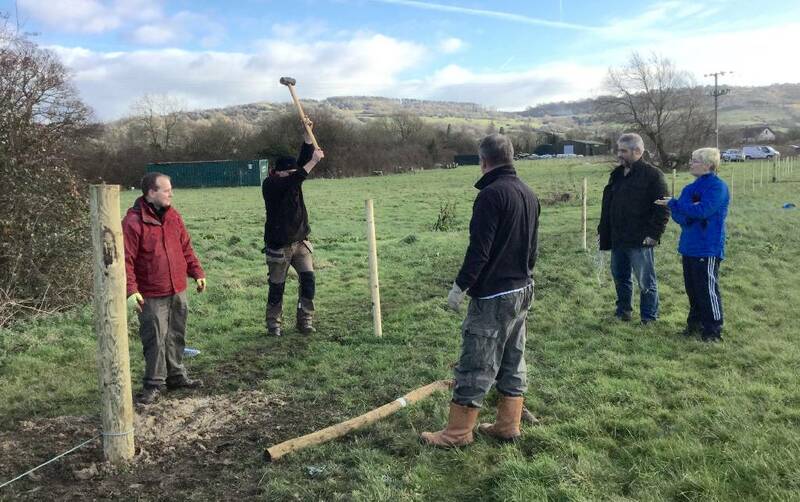 Installation of the fencing, planting of 1500 trees and the installation of the field course will present us with 3 great opportunities to have members working as a team over the next month or so! 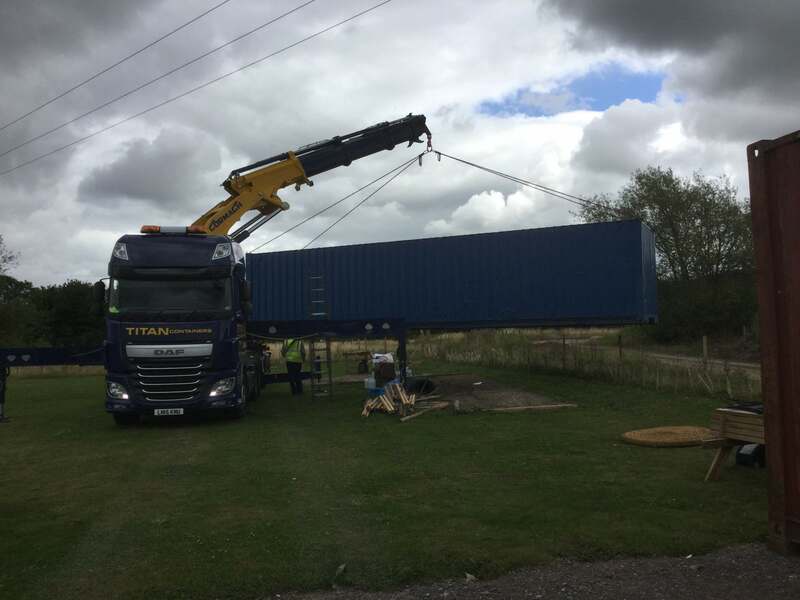 Our first 40ft container was delivered and placed in a temporary position and transfer of bosses etc has begun from Old Pats. The Committee cleared the purchase of stock fencing to secure the boundaries (200m) to the right of the shooting area and along the road side (150m). Excellent quote obtained for 1500 2 year old native hedging plants and for a variety of established trees for landscaping to be planted once stock fencing in place and the landscaping plan has been cleared with the Planning Department. We will also be installing a selection of bat and bird boxes around the existing trees. Our architect has been actioned to produce more detailed drawings to facilitate costings for grant applications and break project down into ‘digestible’ phases. We are currently assessing the cost of installing the car park which needs to be in place to discharge one of the planning conditions. We hope to work with a couple of local businesses to progress this. Work on our field course will begin before Christmas as soon as layout has been defined. A proposed strategy for fund raising will be cleared at our next committee meeting. We are pleased to report that the purchase of our new ground is now complete! 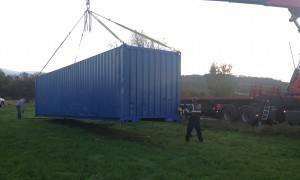 To begin the process of developing it, we have ordered a 40ft Container to be placed in a temporary position. Are looking to install fencing and plant hedging in next couple of months. Also looking to install all/part of the car parking area to facilitate our volunteers working on our project! We have completed the transfer of all the assets from the original club (Deer Park Archers) to the new Company (Deer Park Archers Limited) are currently expanding the Board Membership, all the necessary administrative steps have been taken wrt Articles, Constitution etc. Company needed to re-register with CASC which has been done. All insurance policies required are in place. The real hard work begins from now! Our Planning Application was successful! We have instructed solicitors to proceed with the necessary steps to purchase the land – Our target for completion is the 28th August 2014. We have formed Deer Park Archers Limited (Reg No 9044411) and appointed 4 Directors with the intention of appointing more in the near future including 2 external to the Club. We have appointed a Tax Accountant to support the company on all its legal communications including filing the companies tax returns. We have called an EGM for the 17th July to approve the steps necessary to transfer the Business, Assets & Liabilities to the company. 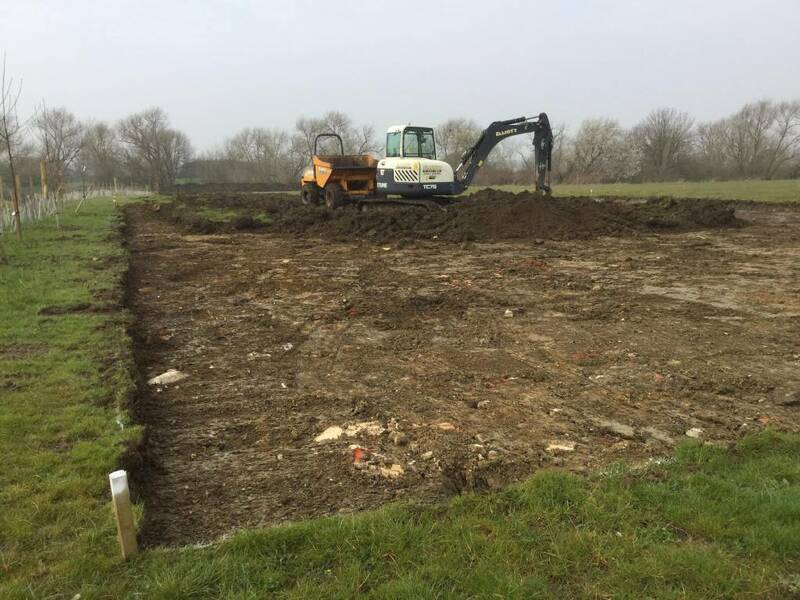 We instructed an Environmental Consultant to run tests to ensure we are purchasing ‘safe’ land and determine the type of foundation required for our club house. We have instructed the builders to provide some outline cost estimates to support our grant applications. It has been confirmed that the application will be going to committee on the 1st April with a recommendation to permit. Following further investigations Highways have withdrawn their objections and we believe we have satisfied the planners by laying the site out in a more compact manner. We are hoping that the application will be considered on April 1st! We have drafted a letter asking for the support of our project which will be sent to the Planning Committee a week before the meeting. Giving full consideration to the planning process and if successful the legal requirements to purchase the land and coupled with our desire to prepare the facilities correctly and meet any requirements placed upon us by the Planning Committee, it is unlikely that we will use the field until the end of this summer at best. We will therefore be announcing exciting arrangements for this summer late March. Planning application is progressing, however it is slower than we hoped. Most considerations have been overcome but we are still consulting with Highways on a couple of issues. As this application has to go to Committee (The current Land Owner is a Councilor so correctly everything must be transparent etc) the current date for consideration is April 1st! (Yes, it really is!). To bridge the likely gap between achieving planning/purchase and the date we move outdoors we are currently negotiating a Plan B which could be a short or long term solution. Fund Raising continues to go well and there a number of events being organised (Horse Racing Evening & Swimmathon as well as a continuation of our ebay project and cloths/books/cd collections. Planning application activated and now into the consultation period of 8 weeks, likely to be further 4 weeks after that before we know if successful. We believe it ticks all the boxes, Olympic Legacy Project, Community Club, Sports Development in a green belt area, single story clubhouse and covered storage containers and covered shooting area, built on reclaimed land, environmentally sensitive plan for hedge rows, bat boxes, bird and bat boxes etc. Green car parking area, easy access off main road, usage patterns do not clash with rush hours on the Shurdington Road etc. etc. Fund Raising breaks the £20,000 barrier before applying for grants! Professional Project Manager Appointed to support planning application and to cost phase 1 (land purchase and basic amenities) and detail/cost phase 2 (buildings). EGM confirmed minor constitution changes and we now comply with CASC requirements. Engaged Active Gloucestershire (Community Sports Partnership) to advise/support us with grant applications, how to best use the facilities in support of the community, best structure for the club going forward etc. Click here to see more information on fund raising status. Fundraising events going very well, jumble sale, ebay, club annual awards, competitions, target days, orchid/hat/wrist band sales etc all generating good income! EGM fixed for 22nd November to make 2 minor modifications to constitution to complete qualification for CASC. Club wide members appeal to be launched 7th November, Committee donated £5000 in last 2 weeks as a start to this appeal. Resource bank of club information, brochures etc created to support members approaching their employers for their support. We are seeking to raise more than £20,000 through our own efforts, in just a few months and we have got off to an amazing start! In addition an application to a major Charitable Trust is being prepared for a December submission. We are committed to achieving this without impacting on the support we give our members, community activities and club values! This is essential as these define who we are and what has made us so successful! Following the pre-planning consultations we have formally submitted a planning application. 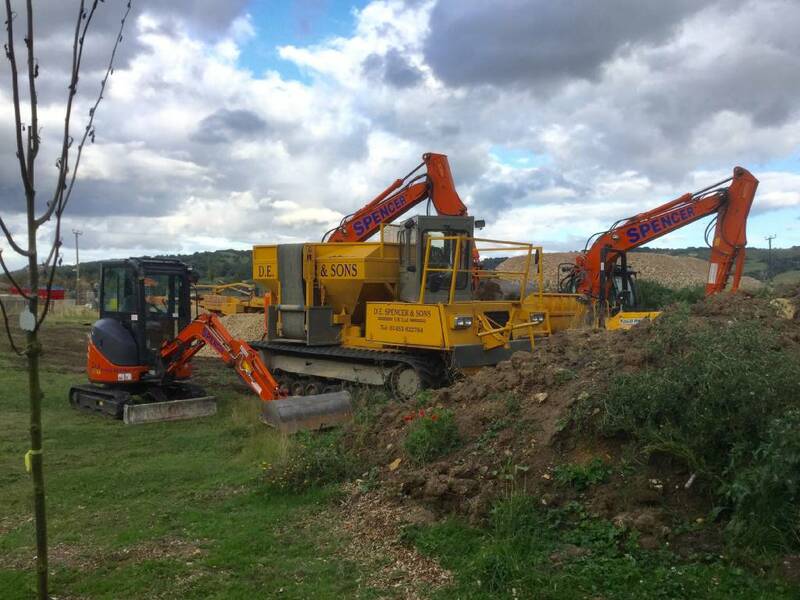 We have had the initial results on the soil testing, gas emissions etc and they are positive (The site is Level 2 grade agricultural land that was an old gravel quarry and filled with inert material. We are therefore awaiting the results of the planning application. We have announced an EGM date of the 22nd August to adopt the necessary amendments to our constitution to become a CASC (Community Amateur Sports Club). Appointed Christine Anderton to lead this activity and run our Gift Aid Programme. Formed partnerships to help us with our fundraising challenge including working with Active Gloucestershire. Finalised documentation to support our approach to companies, funders etc and have begun that process. Our first formal application for support was to EDF and we would like to thank them for the significant support they have given us and certainly created a platform for us to build upon. We have continued to evolve our long term business plan and agreed membership fees, target fees and policies wrt Volunteer & Associate Memberships for the 2013/14 year. We have made an offer subject to achieving planning consent which has been accepted. The club has appointed a small Management Team to oversee the project, plans have been drafted outlining a club house, two 40 ft storage areas fronted by covered shooting shelters, car parking, perimeter fencing, landscaping/hedging etc. The facility also incorporates a field course around the perimeter. 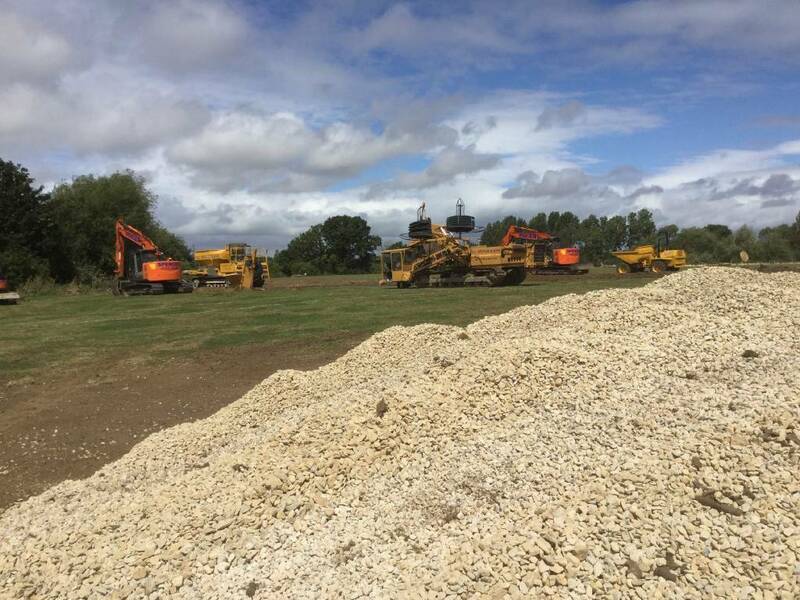 Significant progress has been made in the activities necessary to buy our own ground. We have developed our understanding of what we need to do as a club to structure ourselves to meet the challenges, have formed a working group to take things forward, have refined our 3 year business plan, completed the outline plans for our Planning Application and now working with the Tewkesbury Borough Council Planning Department to gain approval. We have just submitted our first formal application for external funding support and held preliminary meetings with Active Gloucestershire to determine how they can support us. We have also held further discussions with Archery GB and a number of other clubs who have gone through the same process. An audit of our member’s skills and how they can help the project is almost complete and we are fortunate that we have so many varied and great talents within our ranks! We issued a Funding Activities Catalogue to all members and have just launched the first 2 activities, the Ebay initiative and a car boot sale. A flier seeking support of local businesses and a document to be issued to all adult members enabling them to approach their employers have been drafted and are being proof read prior to issue. We have also appointed a Fund Raising Team to oversee the efforts required by all our Club Members to raise a substantial amount of cash.